Place of Origin: A small farm just south of Ark. 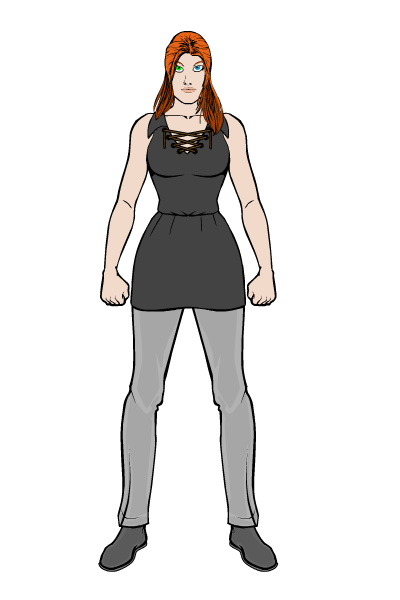 Appearance: Generally found in simple grey clothes, more often than not with mud spattered all over her clothes. Angelic wings: Lia is able to summon a pair of wings whenever she feels the need to. Whenever not needed, she keeps the appearance of a normal, adolescent girl. Farmer: Lia knows how to deal with just about any farming equipment, and do so with great proficiency. 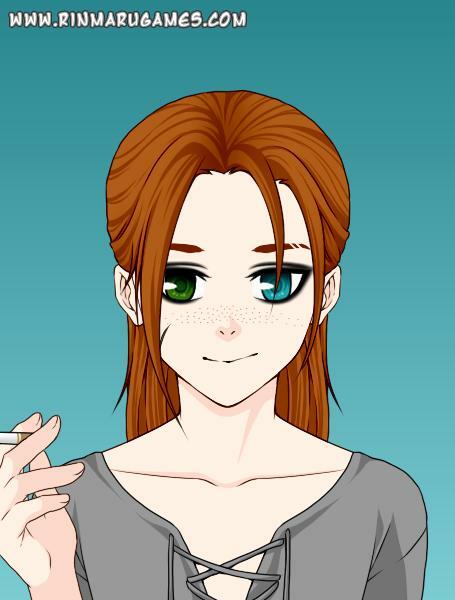 Personality: Lia is a generally nice girl. She tends to ignore the local politics, as long as they don’t involve her, her family or her home. Curious is a word that could be used to describe this Nephilim, always trying to learn something new. When she feels threatened, Lia becomes quite aggressive and won’t back down until the situation is resolved, be it through words or fists. Lia tries to avoid any conversations concerning her father, and when it does go that way, she will deny his existence. Lia is a known smoker of hallucinogenic herbs. 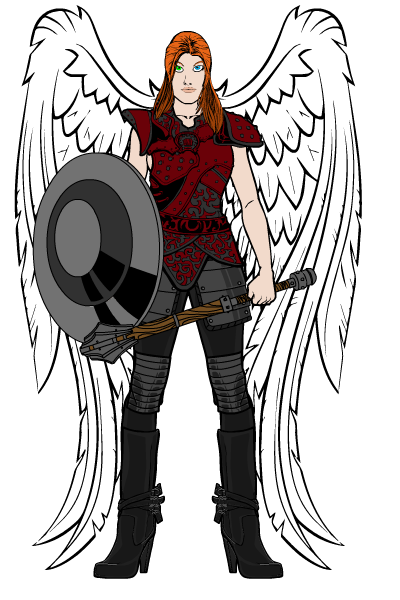 Lia was born after a short affair from her mother with an angel of the God Aghar O’Goud. She was born into the farmlife. From an early age, Lia knew she was different from most other girls her age. She was a tad more aggressive than most and discovered her angelic heritage at a relative young age. Of course, Lia was scared at first, but once her mother found out, she explained everything, and fed the girl her own opinions of the father. Years went by; Lia’s life was a simple one. During the day, she learnt how to do farm work with and without equipment. During the nights she wasn’t tired, she practiced with her wings in full secret. One night, when Lia was 16, she heard the clashing of swords outside of her farm. It turned out to be a group of local guards having conflict with a group of bandits. The bandits were easily dispatched, but the guards felt it was the local population’s responsibility to clean up the bodies and the blood. They left the dead on the road. Lia and her mother took several of the bodies, burning them. Seeing a purpose in some of the gear the bandits had, to be used or to be sold, they took the armour and weapons off of the bodies. Lia took in the items she thought she could use and refitted them, as well as starting to learn how to use a weapon. These days, Lia tends to spend her time between her own farm and the nearby villages to sell the products she and her mother don’t need.